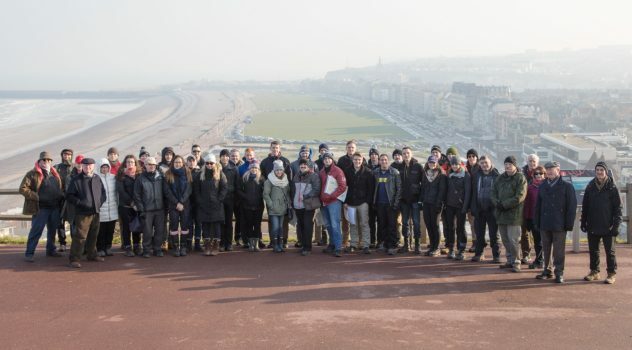 The RMC History Department, through funding from the RMC Foundation, embarks on the Annual Battlefield Tour from 16-24 February 2019. 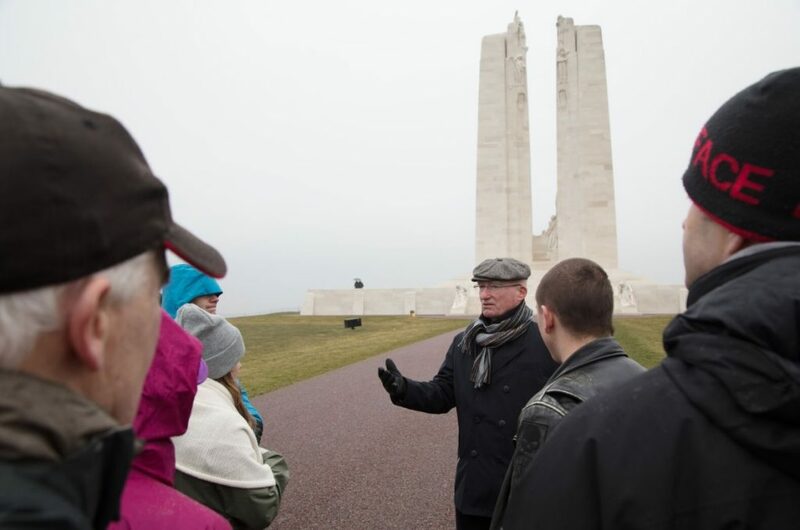 This tour, established in 2003, and almost exclusively funded through donations to the RMC Foundation since 2004, allows Cadets to tour First and Second World War Canadian Battlefields in France and Belgium. Since 2003 this tour has become a major college activity with increasing interest from the Cadet Wing. The Annual Battlefield Tour provides Cadets with the “out of classroom” experience immersing them in a much deeper understanding of the stories and connections to these historic sites. Walking the beaches of Normandy, for example, leaves Cadets with a deep appreciation of how the actions of so many of our Canadian Soldiers’ helped define who we are as a nation. The RMC Foundation is proud to support the Annual Battlefield Tour. Stay tuned for updates on the Cadet experiences throughout the tour on our Social Media Accounts. Realize this is quite late for the 2019 edition of the tour, however as a semi-retired Class of ’80 engineering ex-cadet grad, I have been wanting to do a tour myself of these battlefields with or without other family members, time and circumstances permitting. Are senior ex-cadets required to accompany the cadets in some capacity? Thank you for the Foundation’s role in enabling these fantastic opportunities/experiences and for considering my query. Fantastic Idea Eric. I would also be interested. 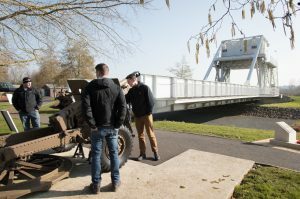 I had the opportunity to go, at my own cost, on one of these Battlefield Tours when I was on staff at RMCC. Kudos to the organizers and the financial support from the RMC Foundation to make it all happen. I attended all of the pre-trip academic sessions that go with this trip. It isn’t just hop on a plane, see some WWI and WWI sites and come home. Each student was assigned to a syndicate and required to research an assigned battle and then give a presentation to the rest of us before the trip. Then, we stood in the snow and rain, with our battlefield maps in ziplock bags, as Majors Michael Boire and Doug Delaney explained why we were standing in a farmers field in Normandy in February, etc. They also made us run up the beach on Dieppe from the tide line in the early morning then told us to imagine wearing 60-80 pounds of kit, carrying a rifle, being shot at… Over the course of that tour I saw a visible change in the attitude of the students. The realization of what combat entails sank in – in a positive way. All-in-all this was head and shoulders above the Staff College Battlefield Tour, mostly because of the pre-trip preps and the extreme dedication shown by our Tour Guides – Majs Boire and Delaney. I see familiar names among the comments above. I find this fascinating and I would add my name to the list of ex-cadets interested in attending such a tour.